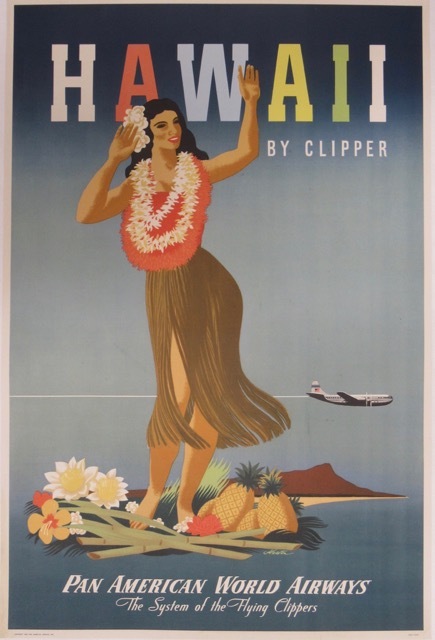 This pre-jet age poster by John Atherton has become very hard to find. The welcoming hula dancer stands in front of a beautiful aqua and blue background. Nice condition and backed with archival linen.